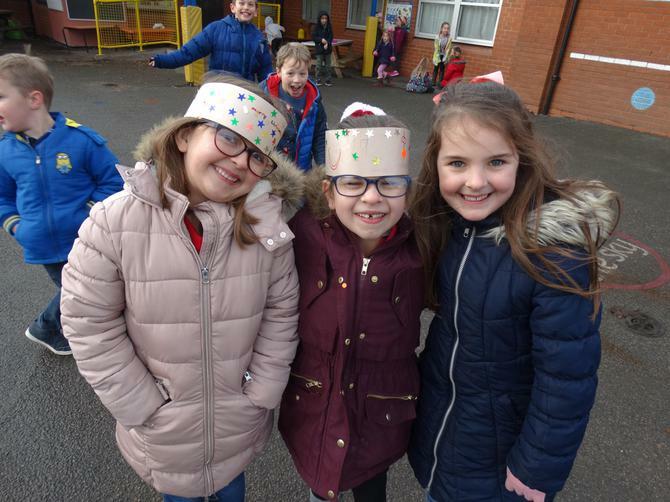 The snow was still on the ground but we were all in the party mood today! 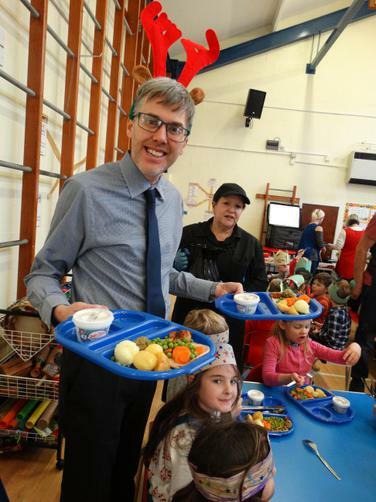 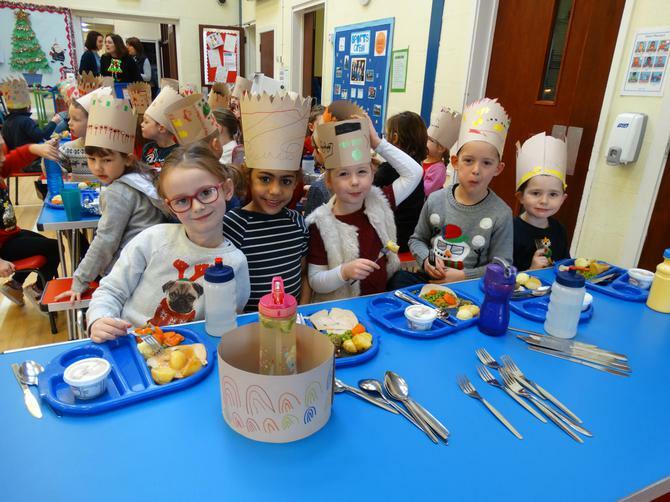 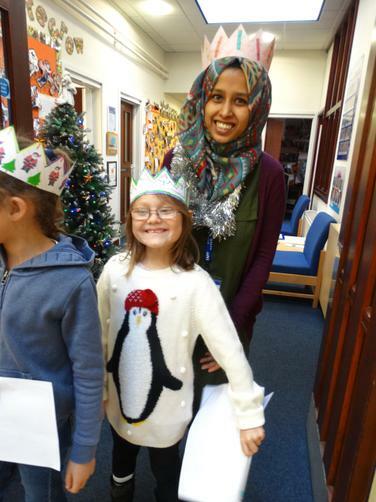 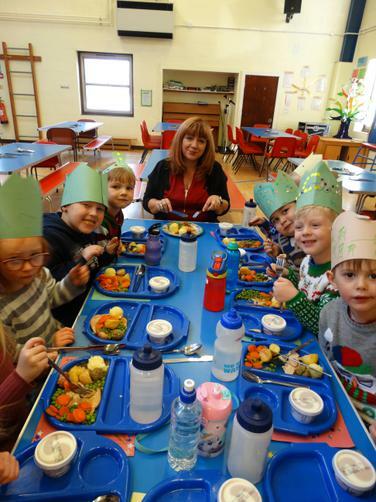 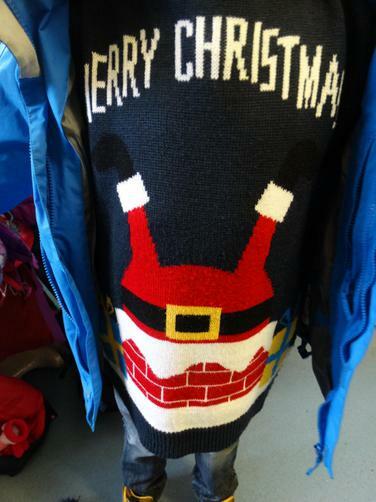 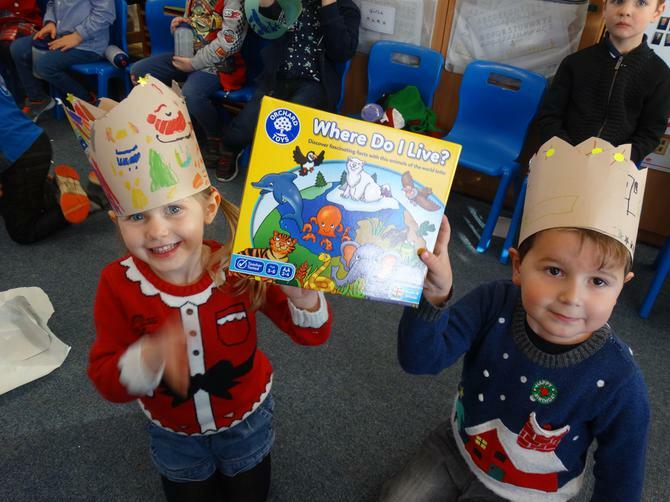 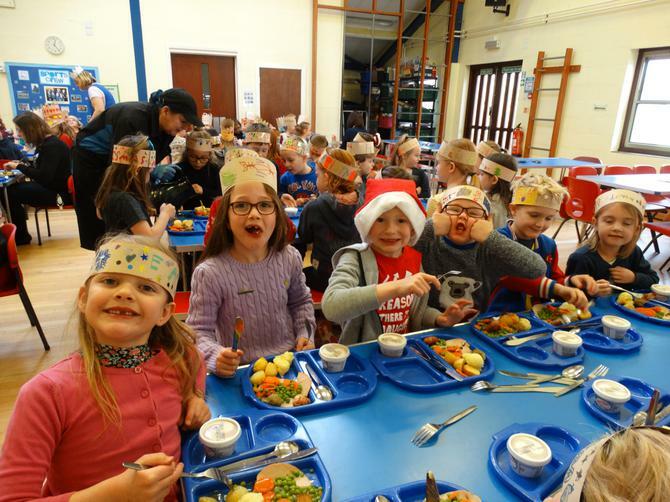 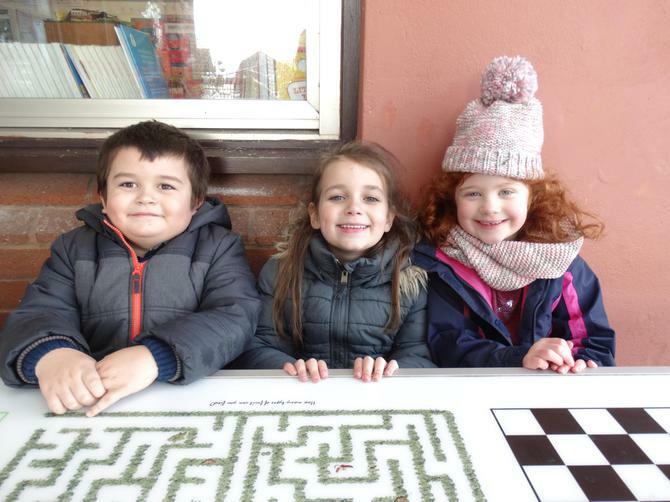 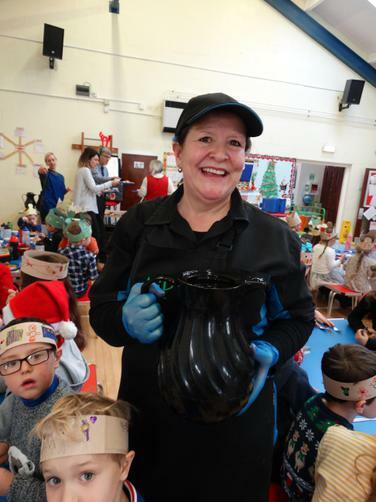 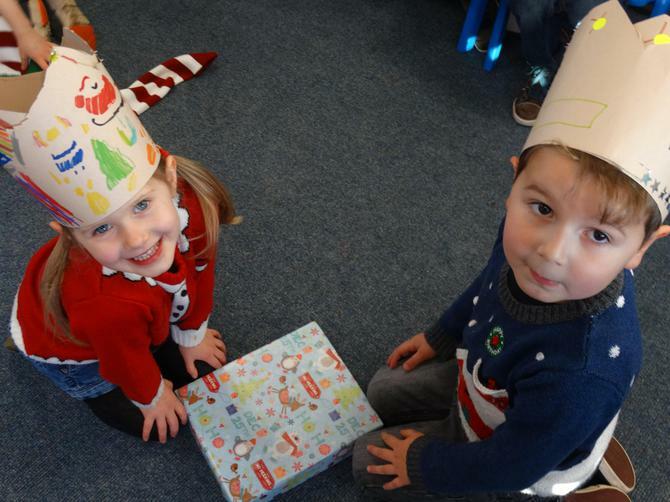 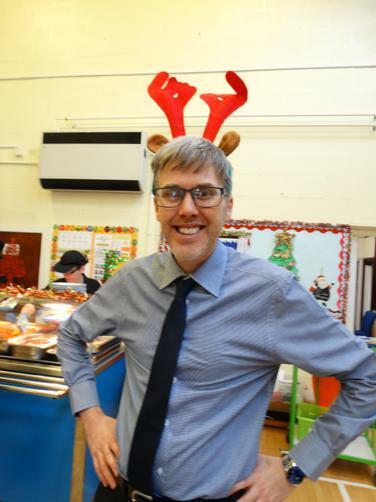 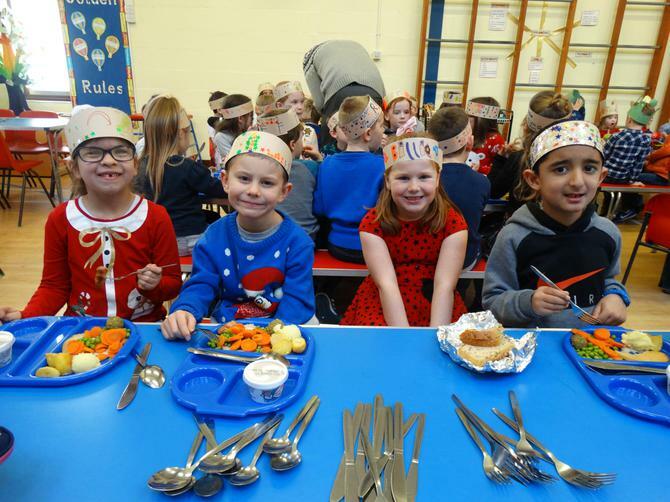 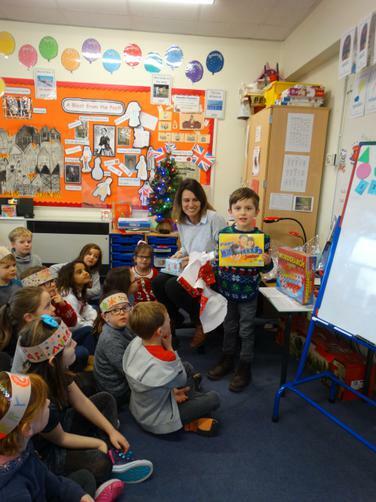 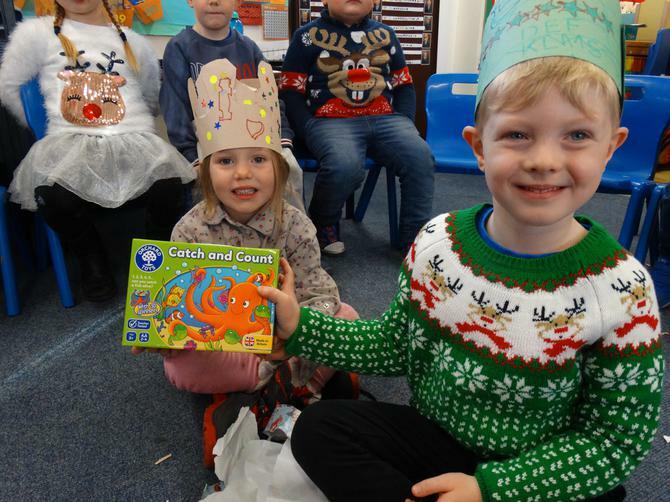 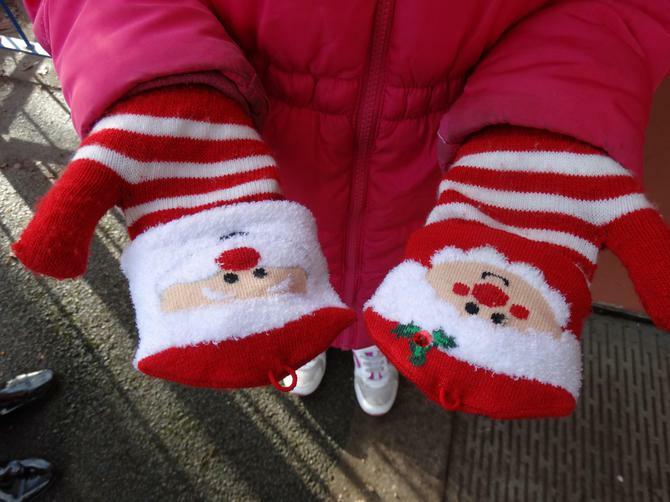 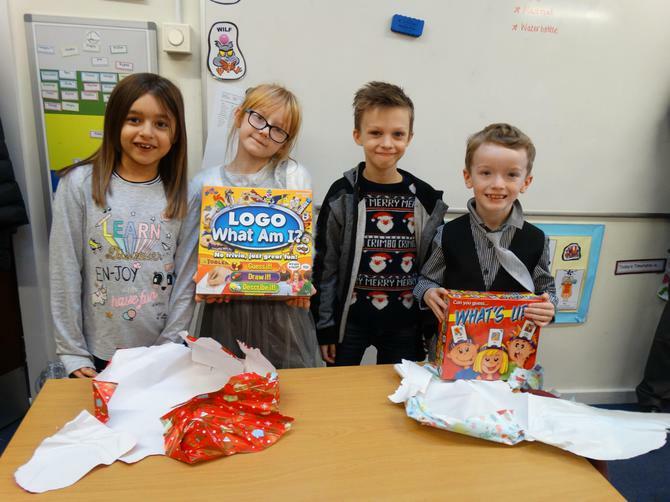 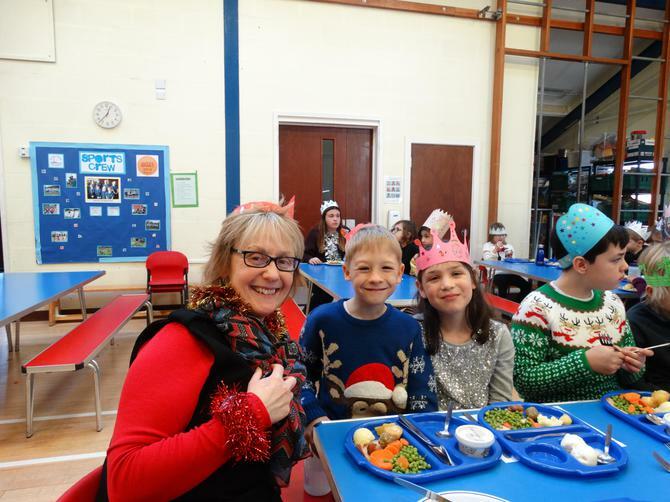 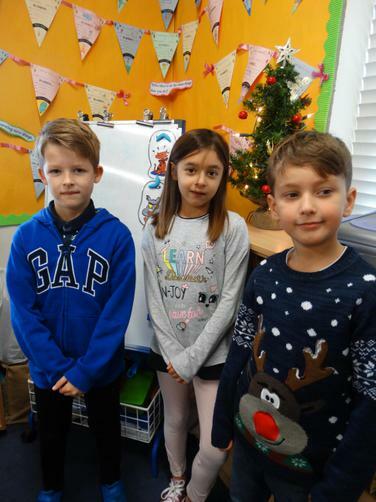 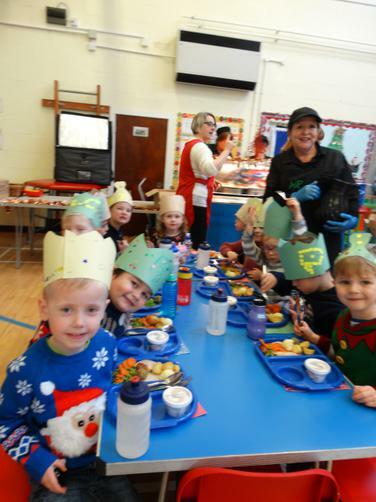 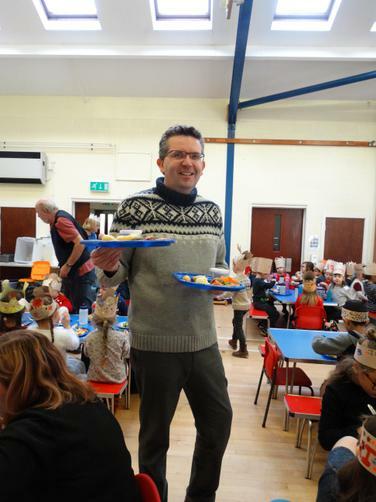 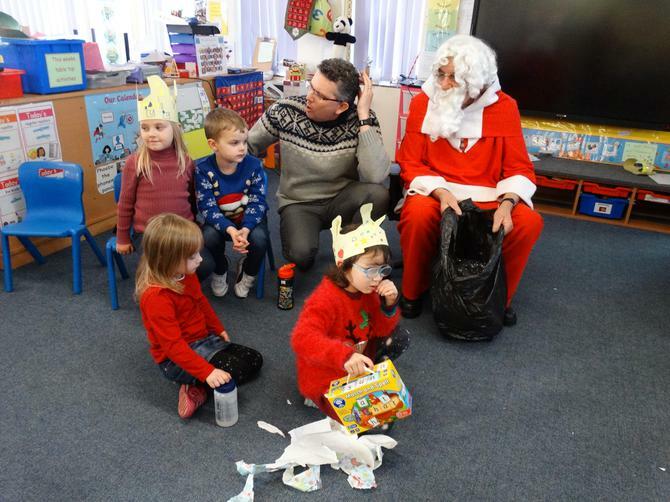 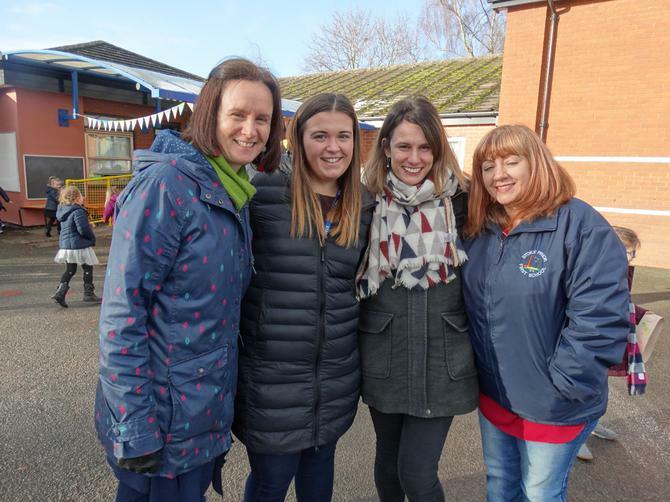 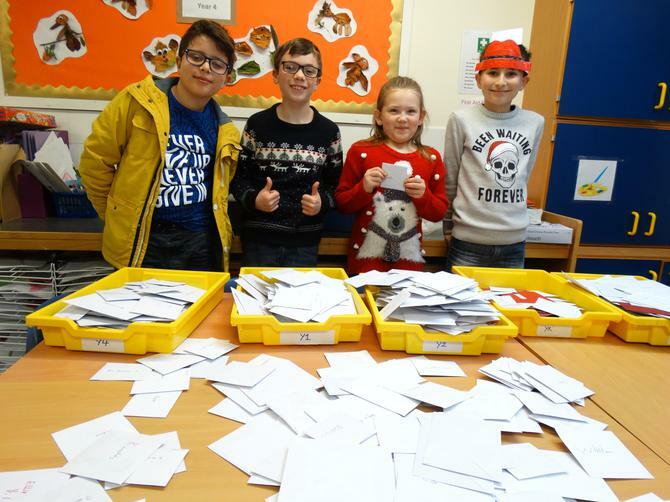 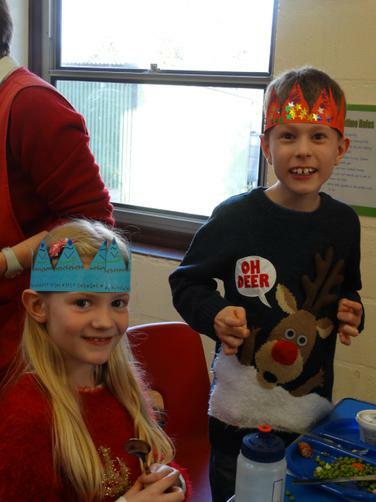 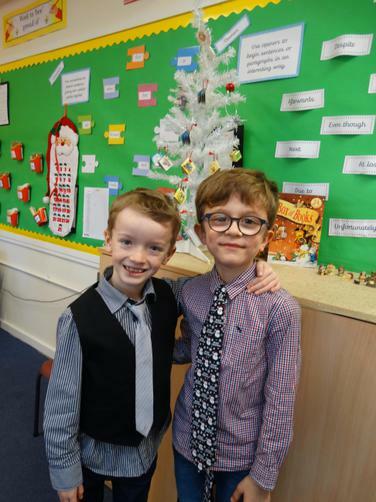 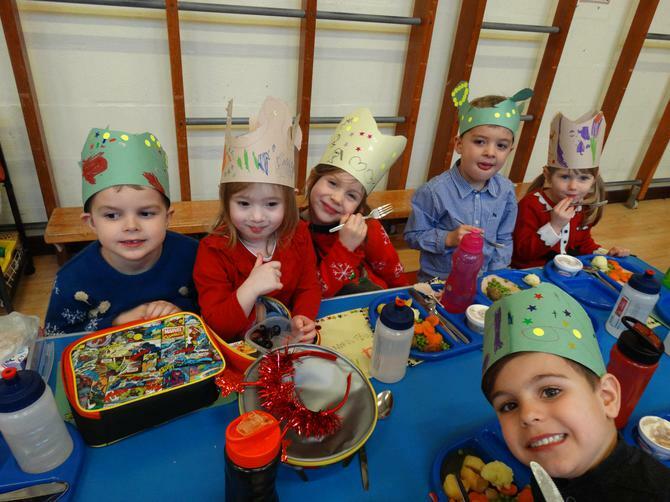 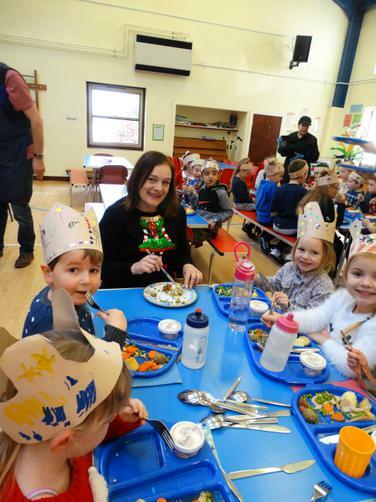 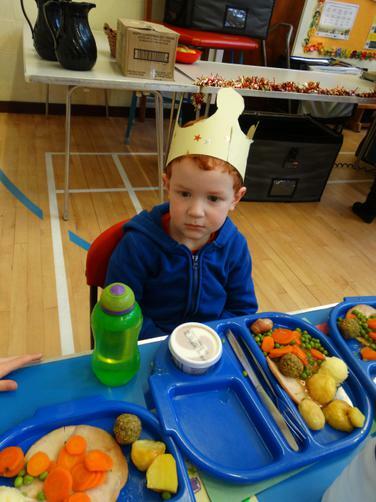 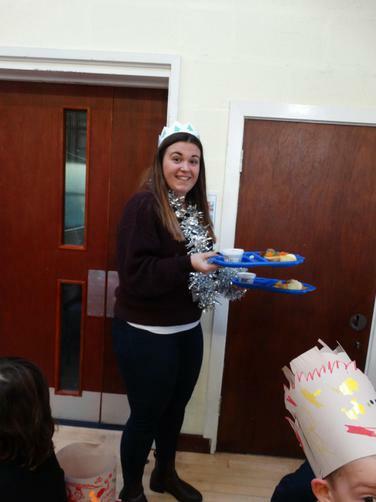 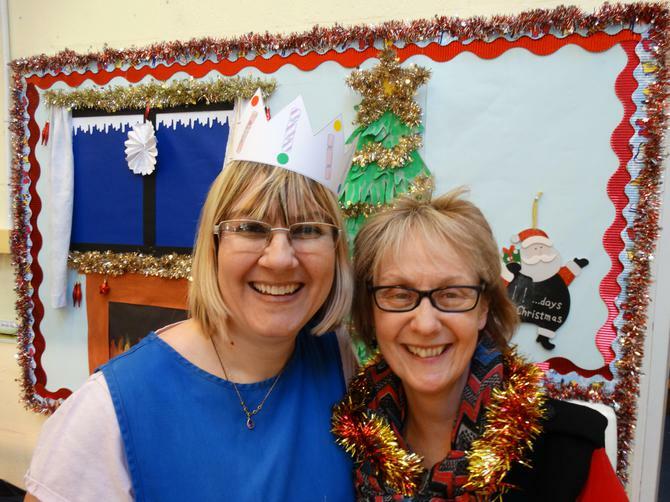 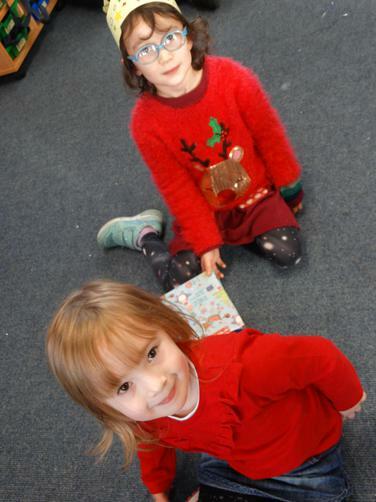 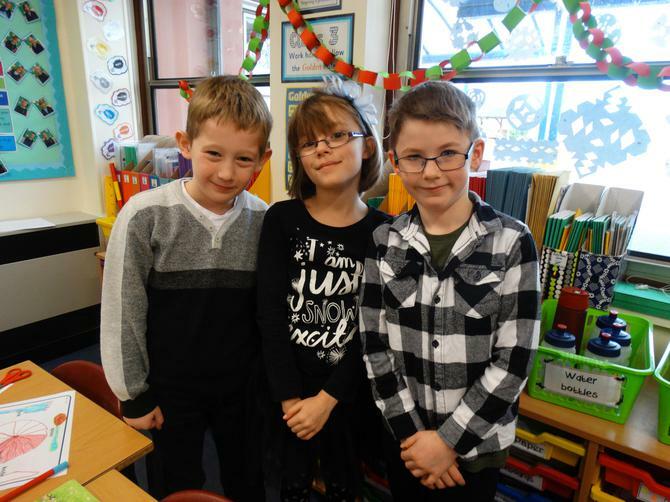 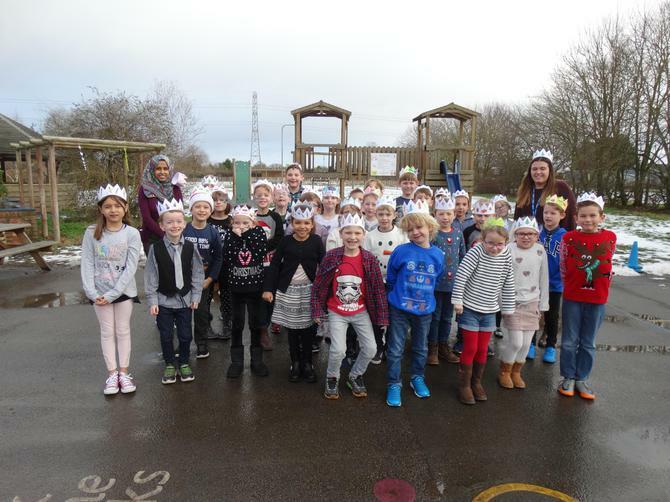 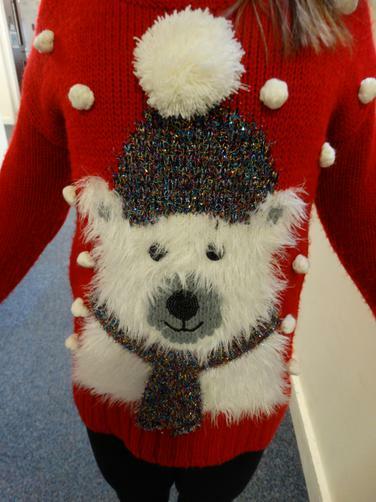 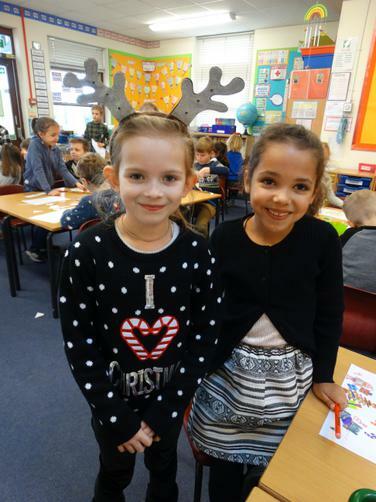 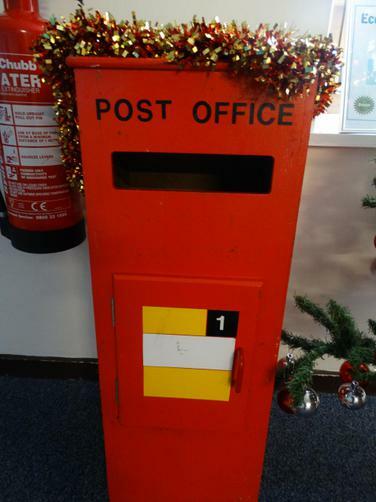 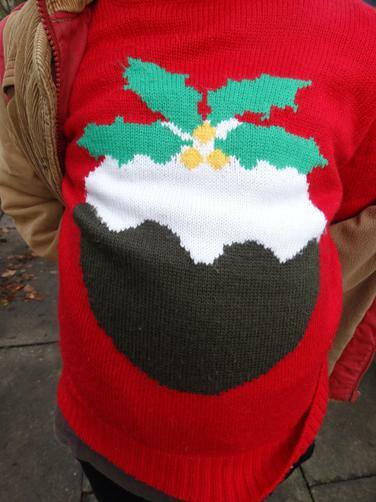 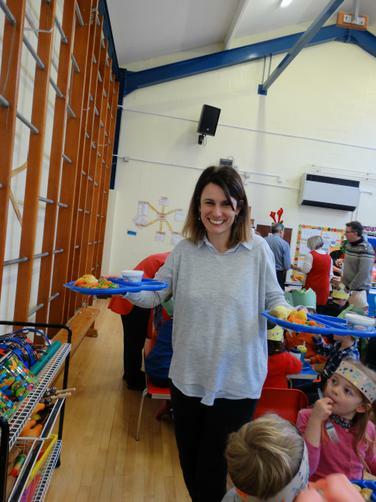 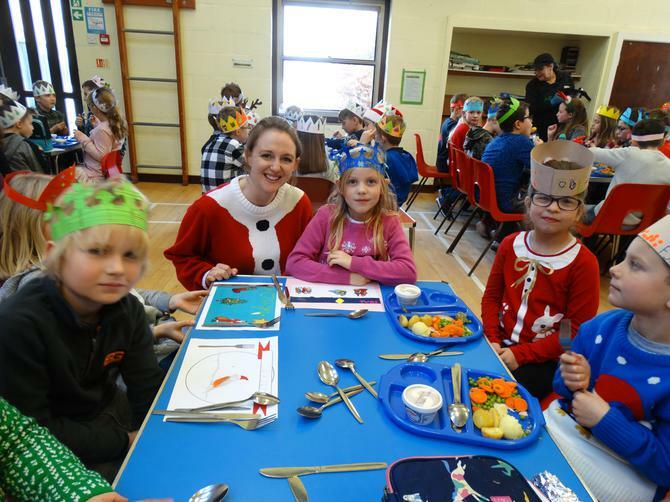 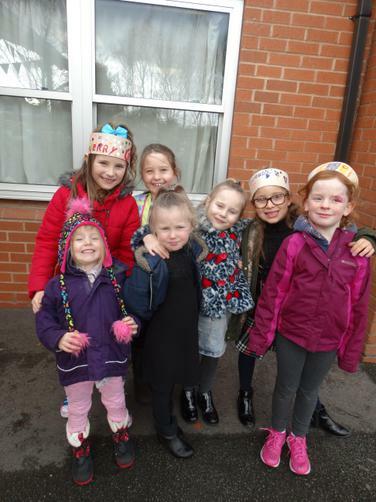 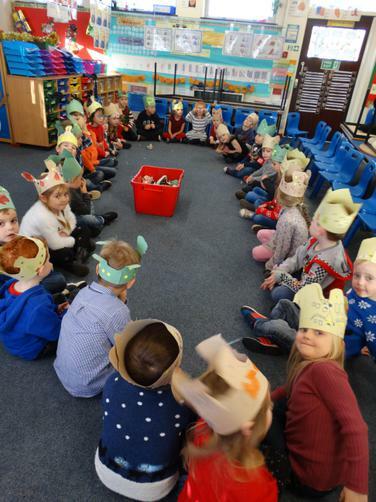 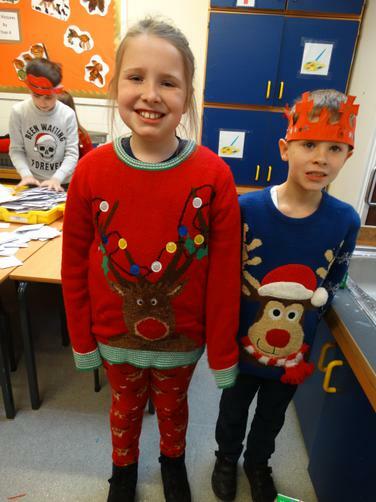 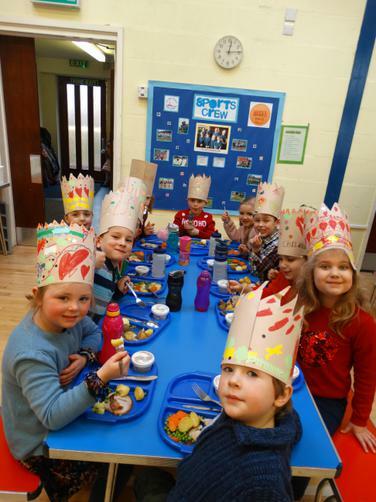 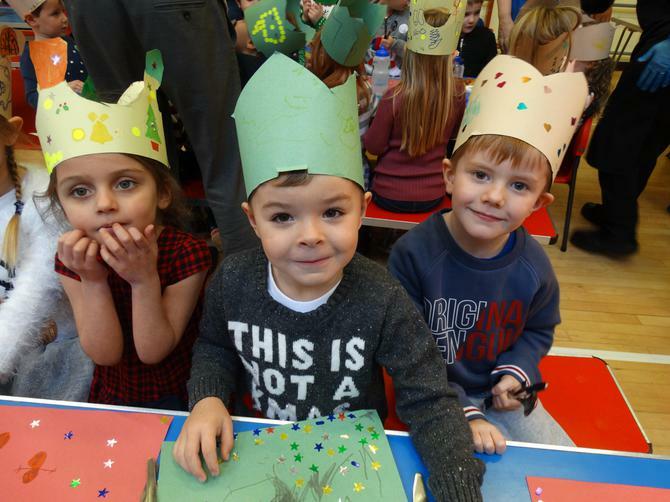 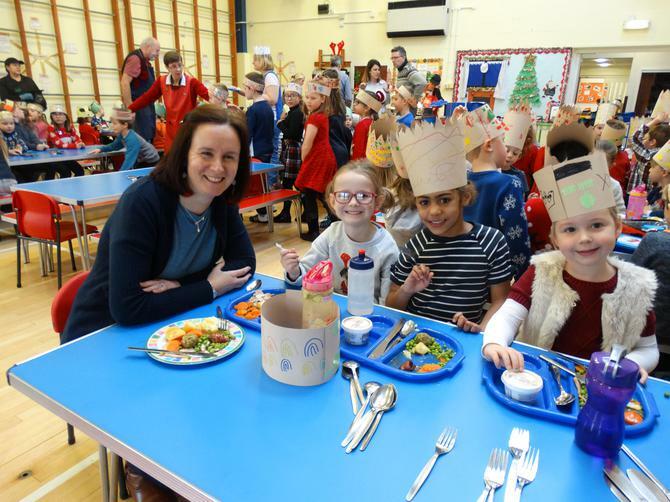 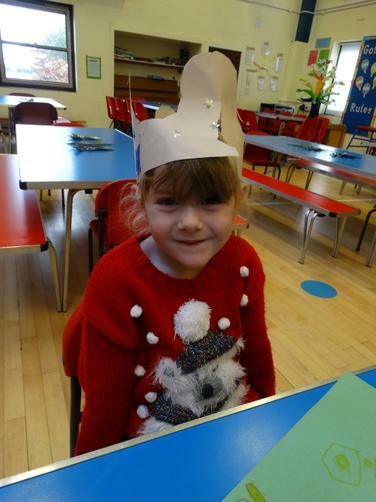 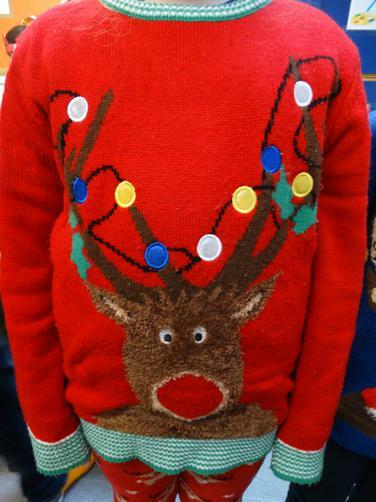 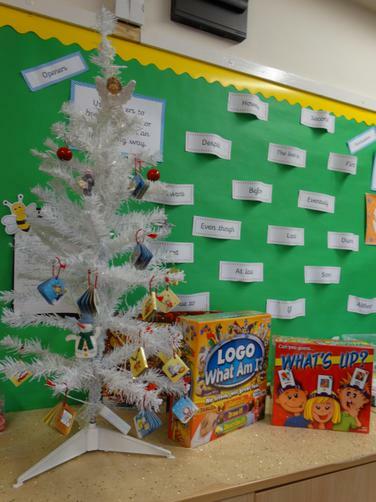 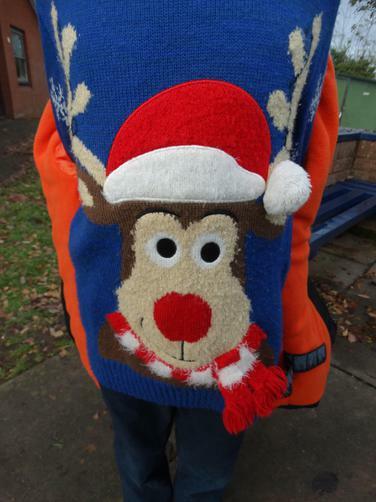 Children wore their party clothes and a traditional roast Christmas dinner was on offer for the whole school. 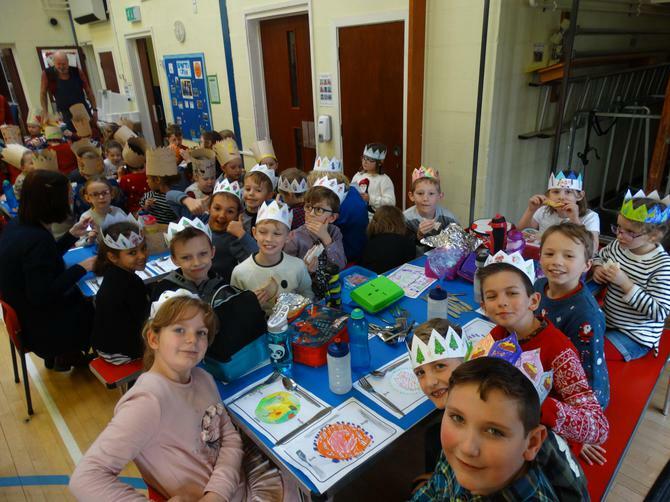 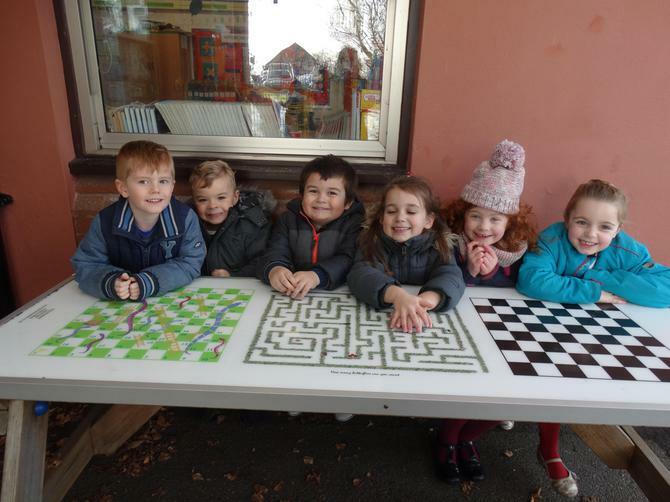 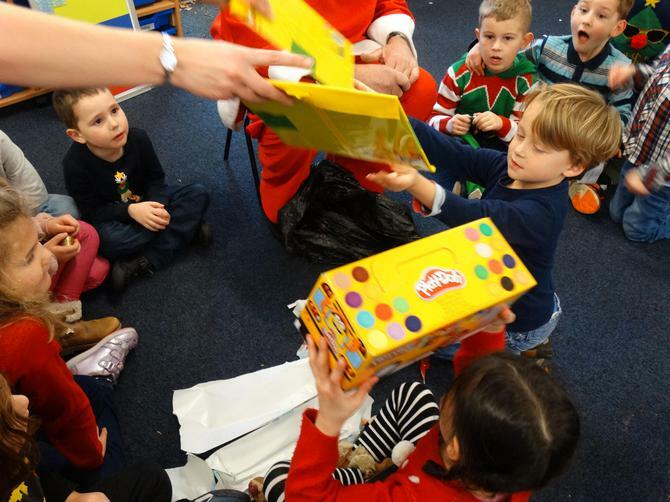 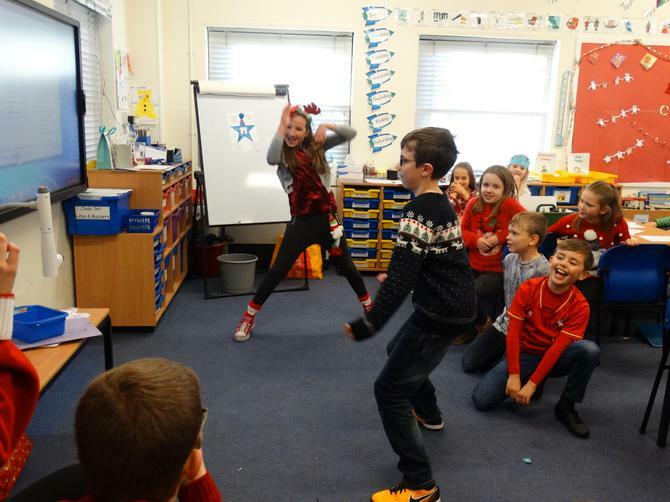 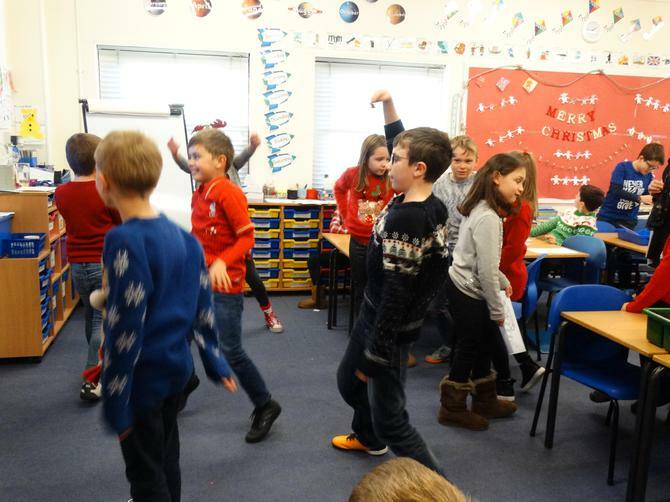 Then it was time for each class to enjoy their own in class parties. 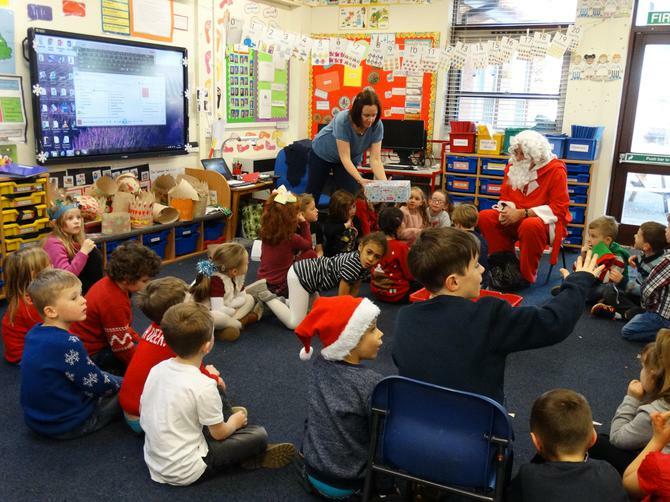 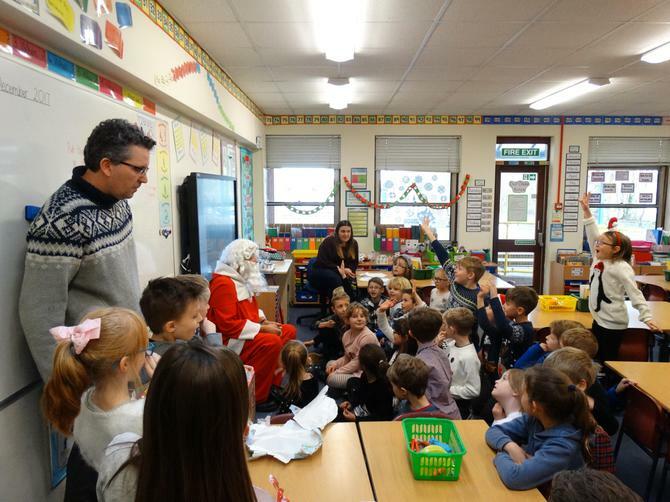 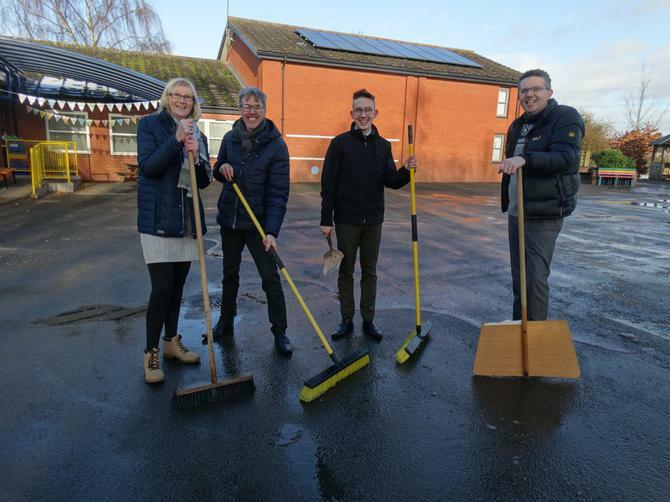 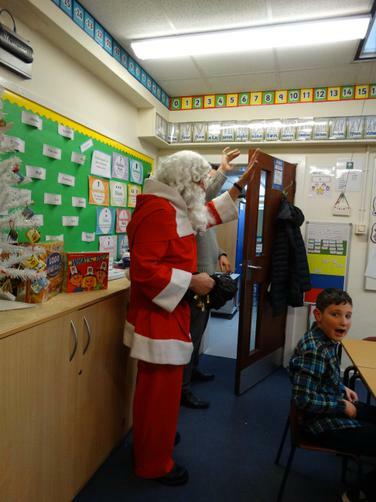 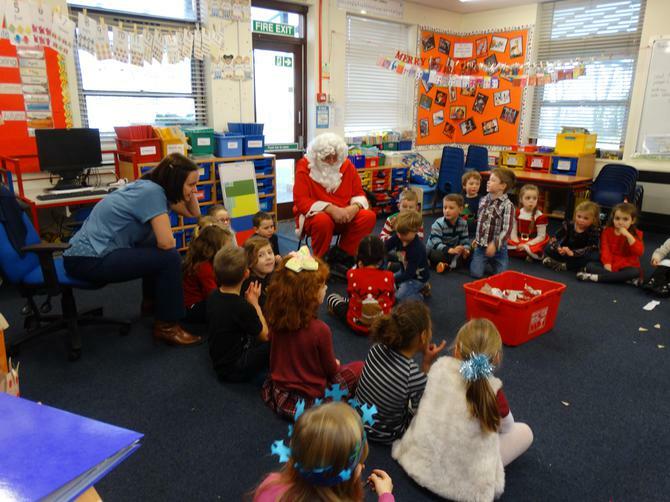 We even had a visit from the Big Man himself!